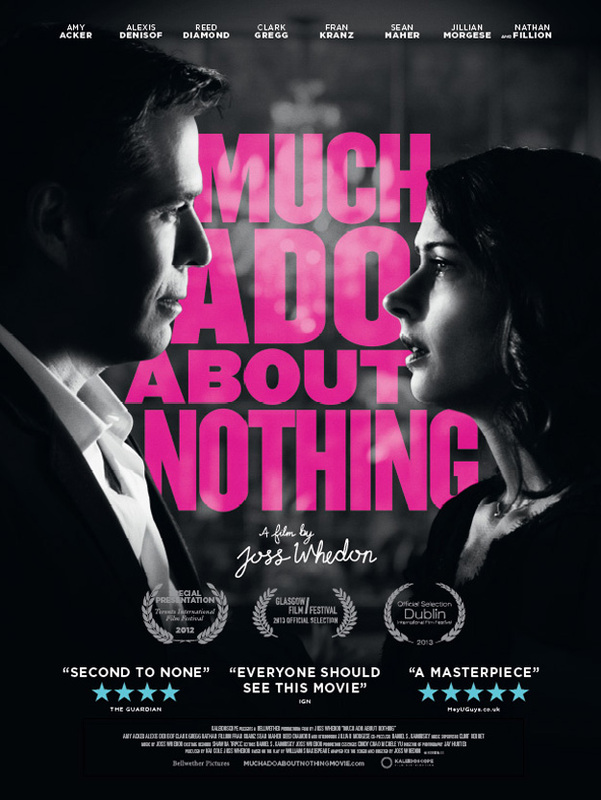 I am extremely excited about Joss Whedon's interpretation of 'Much Ado About Nothing'! He wrote, directed and produced!... And did the music, and joint editing! The film was shot in only 12 days while Joss was working on 'The Avengers'. Lou Lumenick of the New York Post commented that "this is the funniest Shakespeare film I can recall seeing". The Guardian scored the film four out of five stars, calling it "...the first great contemporary Shakespeare since Baz Luhrmann's Romeo and Juliet". Christopher Schobert of IndieWire wrote, "The result is an utter joy, Whedon's most emotionally resonant and fully realized feature film to date. And I say that as one who is not a devoted member of the Whedon army".